Providing home personal care, light housekeeping, companionship, respite care, and more. Providing affordable, high quality, client-centered home caregiving to our IL and TN clients. Now hiring compassionate home caregivers at our locations in Wilmington, IL and Camden, TN. Family owned and operated, our company is dedicated to delivering compassionate care to our clients and truly making a difference in their lives and the lives of their families. 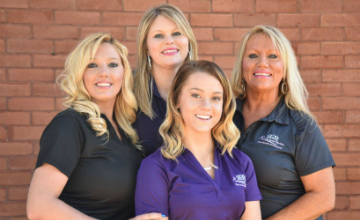 With over 35 years of combined caregiving experience, our team at Absolute Home Care Plus deliver client-centered service that promotes the health and wellness of our patients and their loved ones. With two convenient locations in Wilmington IL and Camden TN, we strive to be your trusted resource for private, personal care that enhances your quality of life. Need to order new shirts?